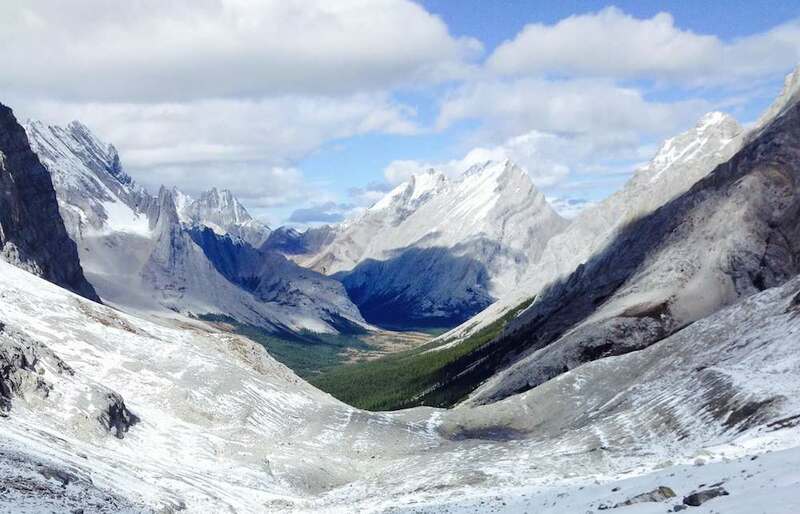 These 6 Banff area hiking trails need to be on your itinerary. Banff has become even more of a buzzword in the travel community over the past two years. With incredible mountain vistas and beautiful hiking trails near Banff townsite, this national park located in the Canadian Rockies continues to grow in popularity. This heightened fame was sparked when Canada was named Lonely Planet’s top country to visit in 2017. With free national park passes handed out to celebrate Canada’s 150th birthday last year, I have never seen Banff buzzing as much as it did in 2017. And even though the free passes are now gone, the tourists are certainly not. There are so many places to see in the Banff area that it can be hard to know which spots you should focus on during your trip. 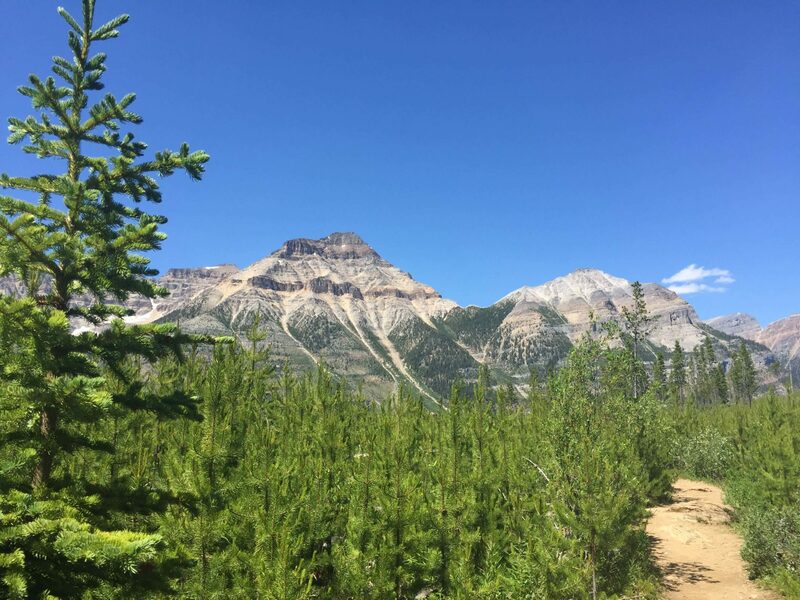 It can be even more challenging to know which of the many Banff hiking trails you should choose when you have limited time. Being from nearby Calgary, I’ve been packing up my own Khmer Explorer backpack to visit the Banff area a lot this summer. These mountain adventures made me realize I should really share some insight into exploring my own backyard! Over the years I’ve had the privilege of experiencing a number of the hikes in this area, so I’m excited to share my favourite hiking trails with you in this post. While this list expands outside of Banff National Park into the neighbouring Yoho, Kootenay, and Kananaskis regions, these are all easy to access from Banff townsite. I’ve left two famous (and beautiful) Banff hiking trails off of here, Johnston Canyon and Lake Agnus Teahouse only because of the extreme crowds that visit them. With so many other (slightly) less trafficked hikes to explore near Banff, I hope you’ll forgive me that exclusion! The diversity of scenery on the beautiful Iceline Trail is what makes this Yoho National Park hike my all-time favourite trail. Starting at the magnificent Takakkaw Falls, the path first tests you with steep switchbacks. At this point you might be cursing me for suggesting you go on this “scenic” trail, but once you’re past the switchbacks, you’ll be heavily rewarded with stunning views of the glacial iceline itself and the surrounding mountains. The path is barren as you make your way along the rocky alpine meadow, and while the views on this part of the trail are a highlight and many day hikers return the way they came, there’s more beauty to come if you have the time. The path descends down through rocky beds and wooded areas, past more waterfalls and lakes, and over wooden plank bridges. Those wishing to camp overnight have several backcountry campground options or you can stay at Stanley Mitchell Hut. It’s worth doing the full loop if you have the time. While Banff National Park usually gets all of the international fame, the Iceline Trail showcases neighbouring Yoho as serious competition. 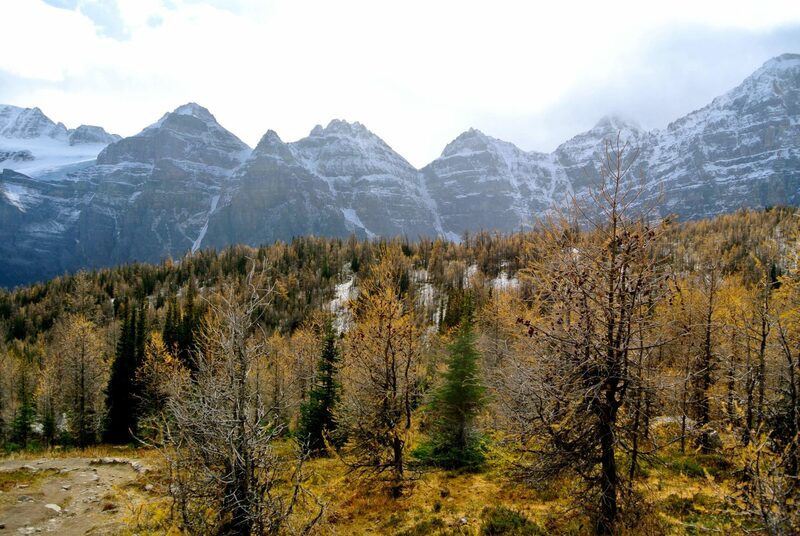 This popular hike is famous for its larch trees that turn the valley a stunning field of gold around the last two weeks of September each year. During this time the trail can be quite a zoo, but it’s no wonder tourists flock here and it’s worth hiking whether it’s autumn or not. From the shoreline of enchanting Moraine Lake, the Larch Valley trail switchbacks steeply to access the valley itself. Once you reach the valley, it’s relatively flat as you wander through the larches, past reflective pools and surrounding mountain peaks. It’s possible to carry onwards on the scree slope trail to Sentinel Pass for even more impressive views of the region. Regardless of whether you choose to carry on, Larch Valley offers some of the most incredible views of the peaks surrounding Lake Louise that you can find in this area. Rae Glacier is one of those rare hikes that is unbelievably underrated and infrequently visited. To access the glacier you start on the popular trail towards Elbow Lake. Elbow Lake has a nice day use area and quite a scenic campsite on the lakeshore. To get to Rae Glacier, you carry on past the campsite until you reach a creek and have to follow an often faint trail that veers off to the right. As long as you can see the glacier in front of you, don’t worry, a clearer trail does appear again. It’s around 2.5 km with a significant elevation gain from the edge of the lake up to the glacier. Sadly, Rae has receded significantly so there isn’t much of a glacier left here to admire. Nevertheless make your way up to the snow, and then turn around to take in the beautiful view below you. I’ve been hard pressed to find a more jaw-dropping vista (and one often viewed in solitude!) around this area. Chester Lake is my favourite hiking gem in Kananaskis Country. 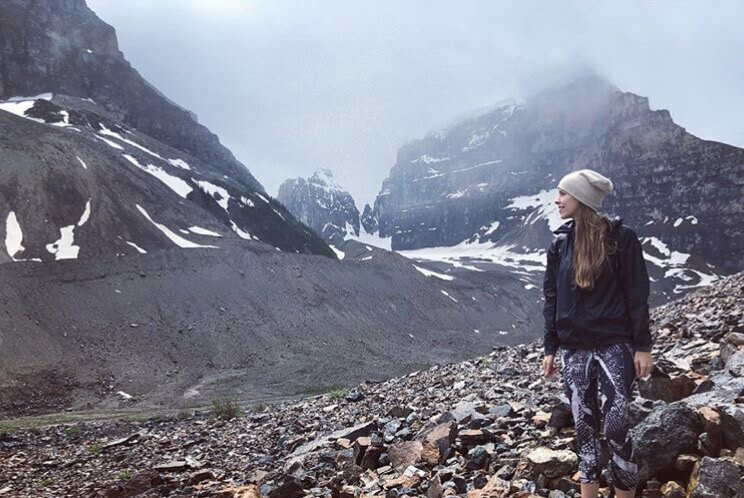 It’s an easy, short hike with incredible views and while it does get busy, it’s not crazy to park here like it can be to access the Lake Louise/Moraine Lake hikes during the summer. Less famous than Larch Valley, this is also a beautiful spot to see the larches change colour the last two weeks of September. The path initially has a steady uphill through the forest but then levels right out as it meanders through a large meadow to Chester Lake itself. After stopping for a snack by the lake, carry on through the forest to the large boulders known as “elephant rocks”. You can then hike up a steep little slope to get to the most beautiful views over the valley. This hike is most impressive during larch season, but it also makes for a nice snowshoe trail if you’re visiting in the winter! 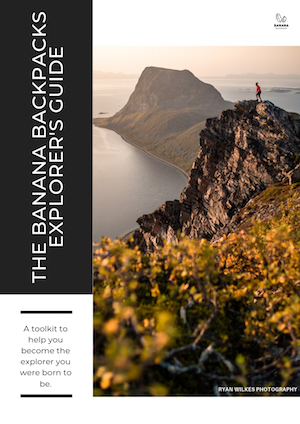 This is probably the most well-known of the hikes on this list, and for good reason. 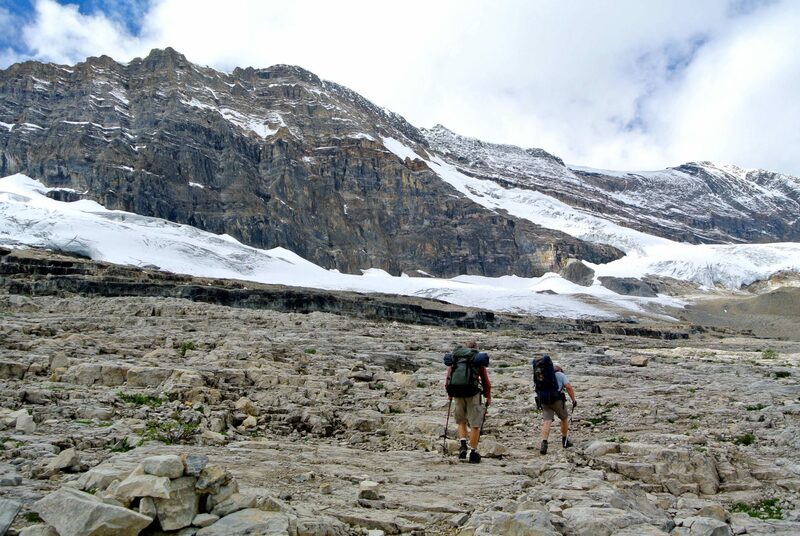 With beautiful views, a teahouse waiting for you at the top, and not too gruelling of an uphill climb, the Plain of Six Glaciers trail is incredibly enticing as a hiker. Most people opt for the closer and shorter hike to Lake Agnes Teahouse, but it’s not nearly as stunning as the Plain of Six Glaciers. From the Lake Louise parking lot you simply follow the lakeside trail all the way behind the lake. The path has a very mild incline as you traverse through forest and over some scree. It then opens up with incredible views back towards Lake Louise. It can get a little bit icy in parts here even in the summer months, so do tread carefully on the slippery sections. After a couple of slightly steeper switchbacks you’ll then reach the adorable teahouse that was first built in 1924. It’s a nice spot to either snack outside on a packed lunch or dart into the teahouse for a hot cup of tea or bowl of soup (remember to bring cash as there is no electricity to process credit cards up here!). Located just off of Highway 1 on Highway 93, Stanley Glacier manages to avoid some of Banff’s intense traffic. 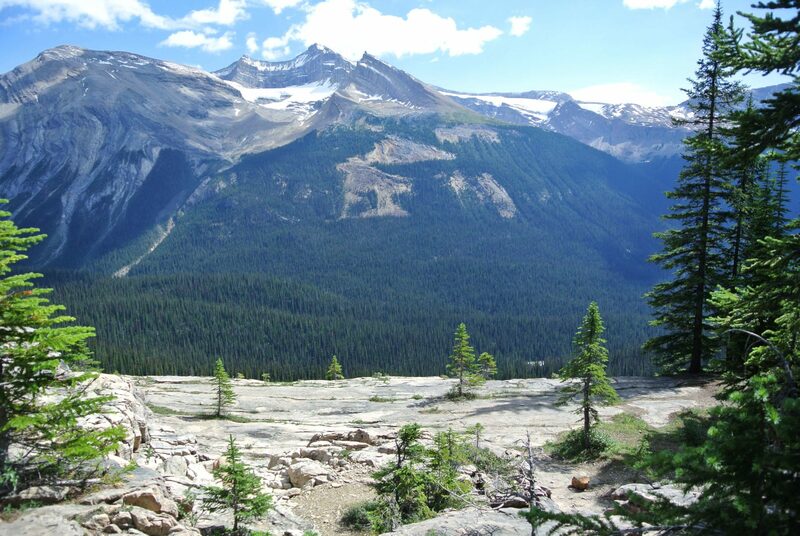 This glacier is located in beautiful Kootenay National Park and makes for a perfect half-day hike in the area. After crossing the initial stream next to the parking lot, you’ll start the trail on some switchbacks leading through a forest. A lightning strike in 1968 charred this forest and as a result it’s now a beautiful place to witness forest regrowth and incredible wildflowers. After the initial switchbacks, it levels out and follows a creek to the boulder basin of the glacier. This is where the maintained trail ends, but there are plenty of little paths continuing onwards to explore and get a closer peek at the glacier. Like Rae Glacier, Stanley too has sadly receded significantly over the past years. It remains a beautiful hike and also an important reminder of the realities facing our environment. Responsible travel tip: Remember that you are in bear country. Make sure to pack out all of your garbage, bring bear spray, hike in groups if possible, and don’t stop your car and get out to look at the bears if you see them near the highway. Have you been on any of these hikes? What did you think of them? 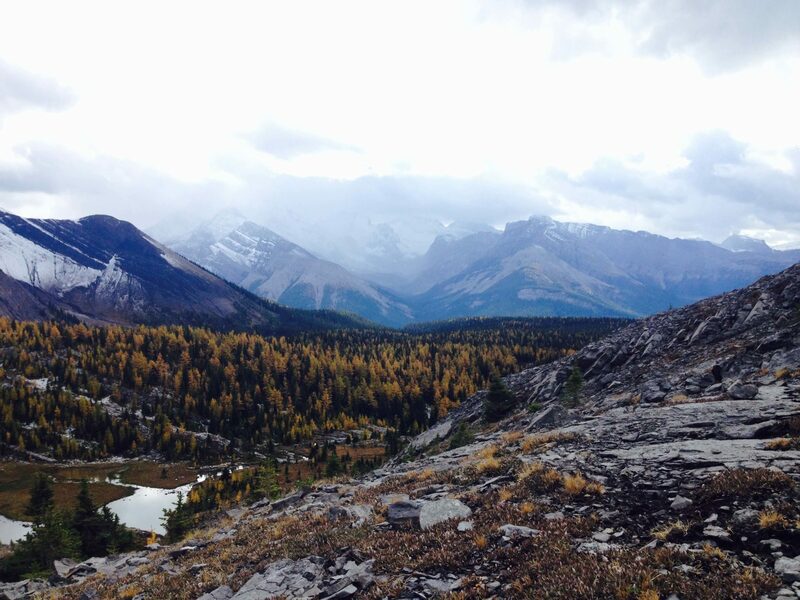 And do you have any favourite Banff hiking trails not included on this list? Let me know in the comments below! Liked the post? Tell your friends! Adventure inspiration direct to your inbox! Travel guides, recipes, cultural education. No week’s adventure is the same on the Banana Trail.